TVS has been on a roll recently with a spate of new launches and updates to its entire two-wheeler lineup. While the Hosur-based manufacturer is doing remarkably well in the scooter space, the company has quite a few impressive offerings in the motorcycle segment as well. And with 2018 about to end, TVS dealerships have made buying some of these motorcycles significantly cheaper. Note that all of the below discounts and offers can be availed only till 31 December, 2018. We start off with the most powerful bike in this lineup, the Apache RTR 160. You can ride home on an RTR 160 by making a low down payment of just Rs 14,999. Also on offer is a low finance rate of just 3.99 per cent. Furthermore, TVS dealers are offering savings of up to Rs 7,500 on the RTR 160 through Paytm cashbacks and other benefits. The TVS Apache RTR 160 is powered by a 159.7cc single-cylinder, air-cooled engine that produces 15.12PS of power and 13Nm of torque. Prices for the bike start from Rs 79,035 for the rear drum variant and go up to Rs 82,364 for the rear disc variant (both prices, ex-showroom Delhi). The TVS Victor too gets a range of discounts and benefits. You can buy the Victor by making a down payment of just Rs 7,400. 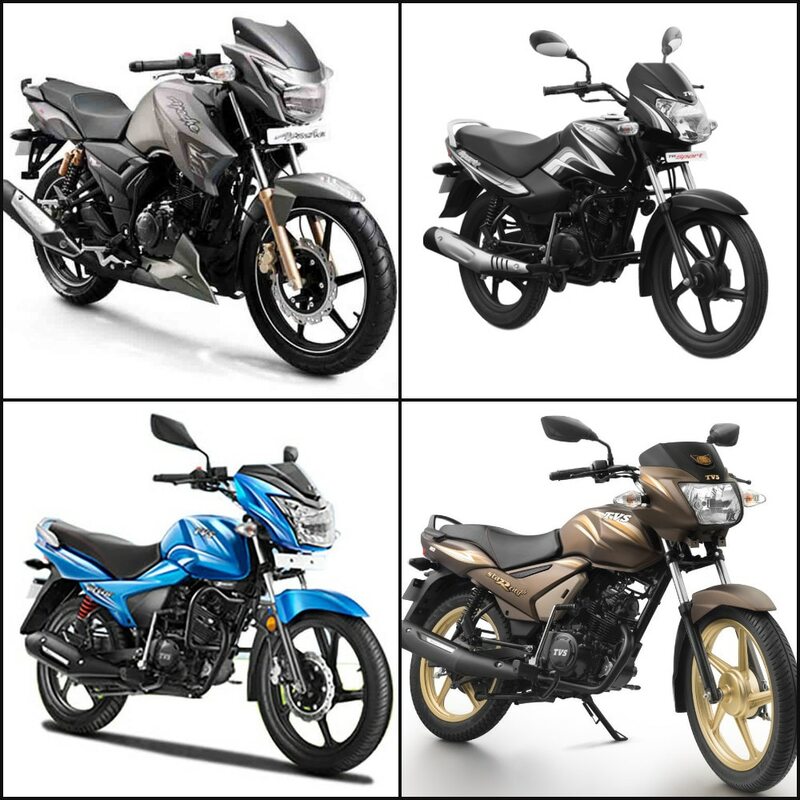 Availing finance for the bike has also become more affordable thanks to a low interest rate offer of 3.99 per cent. Lastly, buyers can save a further Rs 4,600 through cashbacks and other benefits. The TVS Victor is powered by a 109.7cc single-cylinder, air-cooled engine that churns out 9.6PS of power and 9.4Nm of torque. The bike is priced at Rs 53,295 for the drum variant, Rs 55,295 for the disc variant and Rs 56,275 for the Premium Edition (all prices, ex-showroom Delhi). Under the low down payment offer, the Star City+ too can be bought with an initial payment of just Rs 7,100. Buyers can also benefit from a low interest rate of just 5.99 per cent. There are also additional savings of up to Rs 4,400 to be made on buying the commuter motorcycle. The TVS Star City+ is powered by a 109.7cc engine that produces 8.4PS of power and 8.7Nm of torque. Prices for the bike start at Rs 46,053 for the kick starter variant and go all the way up to Rs 53,364 for the dual-tone SBT (Synchronised Braking Technology) variant (both prices, ex-showroom Delhi). The TVS Sport can similarly be bought under a low down payment option of Rs 5,600. Buyers can further save a fair amount of money thanks to the low finance rate of just 3.99 per cent. There are also additional savings to be made in the form of benefits and cashbacks amounting to Rs 3,300. At the heart of the TVS Sport is a 99.7cc single-cylinder, air-cooled engine that pumps out 7.4PS of power and 7.5Nm of torque. TVS has priced the entry-level commuter at Rs 40,088 for the spoke wheel and kick starter variant while the top spec electric start, long seat and alloy wheel variant costs Rs 48,119 (both prices, ex-showroom Delhi).